Since the Global Financial Crisis, the European Union has faced a series of economic and legal crises, including on issues such as banking, taxation, unemployment, austerity cuts, and competition over the rule of law. These entrenched and interdependent issues have pushed the limits of existing European modes of governance and called into question the legitimacy of the European project. The EU and its agencies have responded by innovating in their use of governance programs and tools, as well as restructuring existing policy instruments and coordination mechanisms. All of this activity has been propelled by the question of “More Europe? 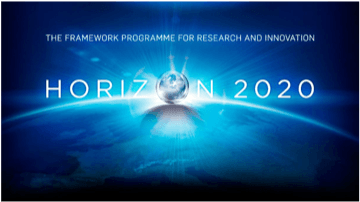 – Less Europe?”, a key question for European societies and for the European project overall. 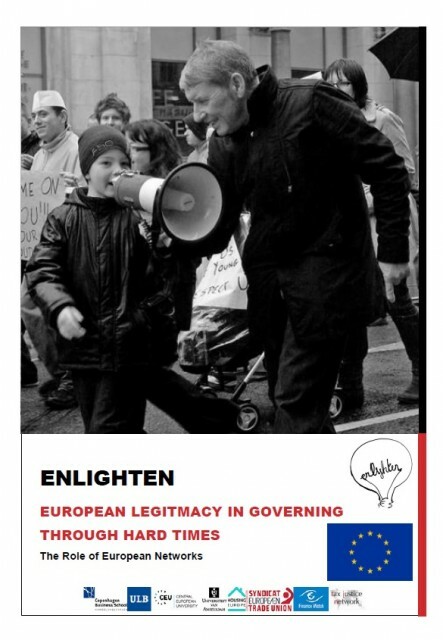 The ‘European Legitimacy in Governing through Hard Times: the role of European Networks’ (ENLIGHTEN) project was tasked with offering an answer to this question by providing original research on issues that are straining the European project. The ENLIGHTEN consortium was unique in having a balance between university academics and frontline NGO expertise. The team included researchers from the Copenhagen Business School, the University of Amsterdam, the Université libre de Bruxelles, the Central European University, as well as Finance Watch, Housing Europe, the European Trade Union Confederation, and Tax Justice Network. They worked together in focusing on a series of cases through the lens of how different modes of governance are legitimated, and through the concept of fast- and slow-burning crises that was developed and applied throughout the life of the project. What are fast- and slow-burning crises? The distinction between fast- and slow-burning crises is straightforward. We immediately identify fast-burning crises because of their volatility, their noxious smoke, and the attention they draw. Fast-burning crises attract a lot of oxy-gen and energy, and the pace of burning is high while policy or social attention provides fuel to the flames. The intensity can reinforce the tempo. They are the crises that are most obvious to us, such as the recent banking crisis, the austerity programmes or youth unemployment and intra-European migration crises (the specific topics of ENLIGHTEN research in the fast-burning category). Fast-burning crises are moments and ongoing events characterised by alarm and an urgent demand for political action. Fast-burning crises throw European institutions and their functions into sharp relief, bringing to the fore political, social and economic interests to fight over how immediate problems should be addressed in the now. Fast-burning crises increase frustrations with the EU’s governance architecture, raising questions about structural reform from politicians, policy elites, the media, and the general public. Slow-burning crises produce less heat, less obvious smoke, but nevertheless burn away as long as there is sufficient interest in them. What we term a ‘slow-burning’ crisis is critical for differentiating what kinds of EU governance architecture and associated modes of governance enhance the legitimacy of the European project. Slow-burning crises extend beyond normal political and business cycles. These crises are more ‘everyday’ in how they are considered by the public: no immediate action is needed but expectations about how to live are changing. They include issues such as financial sustainability, public services provision; and the political and socio-economic consequences of demographic change (the specific topics in ENLIGHTEN research in the slow-burning category). On issues that are less politically visible the key point of contestation is what constitutes good science in addressing the issue at hand. The European Semester process has strengthened the powers of executives at the expense of the legislatives. The EP has to have real power in the coordination of macroeconomic policies. The European Semester needs increased transparency and publicity. Recent institutional changes in order to strengthen its input, output and throughput legitimacy have strengthened the powers of the Commission and member states. While from a bureaucratic/administrative point of view, solutions have been found for past shortcomings, little has been done to increase its publicity/transparency. Discussions about the degree of convergence and divergence in terms of socioeconomic policies should take place at the EU level before the publication by the Commission of the AGS (Annual Growth Surveys). A blurring of the European legal order has consequences for the legitimacy of the entire euro governance structure. This is most clearly visible with the European Stability Mechanism. Combatting tax avoidance and the promotion of competitiveness are complementary rather than opposing goals. The MIP needs to be politicised. At the moment, the procedure is too technocratic to reach a wider audience. There is often a general sense that “Brussels” is focused on government budgets and structural reforms, but that is not mirrored in a more nuanced understanding of the actual functioning of the MIP. Health. European economic monitoring should permit greater fiscal space for the maintenance of health care systems, which are under greater pressures in countries under greater oversight and scrutiny. Housing. Concerns with the decline of social housing in many European countries should be addressed with greater European level monitoring of the relationship between trends in private housing access and the quality of social housing. Active Labour Market Policies: Tools aimed at migrants who experience unemployment are not hitting their targets. The unemployment gap between natives and EU migrants and other migrants is also based on a policy effectiveness gap. Providing better public job-matching arrangements is thus a key policy tool to unleash the productive potential of third-country migrants. Demographic Change. The European Commission should establish an in-house task force on population issues that also integrates key European stakeholders in the public and civil society sector, but also business. The creation of a genuine policy dialogue between market-led and more policy interventionist views on demographic change is needed in a public setting and a long-term institutional home. The full set of policy recommendations can be found in the ENLIGHTEN findings and recommendations document.